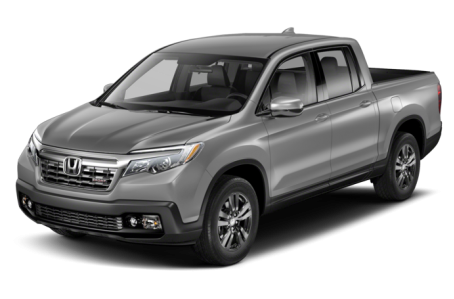 The 2018 Honda Ridgeline is a midsize pickup truck that shares its platform with the Honda Pilot. It is powered by a 280-hp, 3.5-liter V-6 engine mated to a 6-speed automatic transmission that produces 262 pounds-feet of torque. Front-wheel drive is standard, while all-wheel drive is optional. Inside, it has 60/40 -split folding rear seats that give the Ridgeline even more cargo space. This year, it has revised its trim level offerings. In total, six trims are available: RT, RTL, Sport, RTL-T, RTL-E, and Black Edition. 14 of 14 (100%) consumers said they would recommend this vehicle to a friend.